Bog walking in Viru Bog. The Estonian Convention Bureau and Visit Estonia rolled out their latest marketing concept, 'Go Wild, Choose Estonia! ', at last year’s IBTM World trade fair in Barcelona. 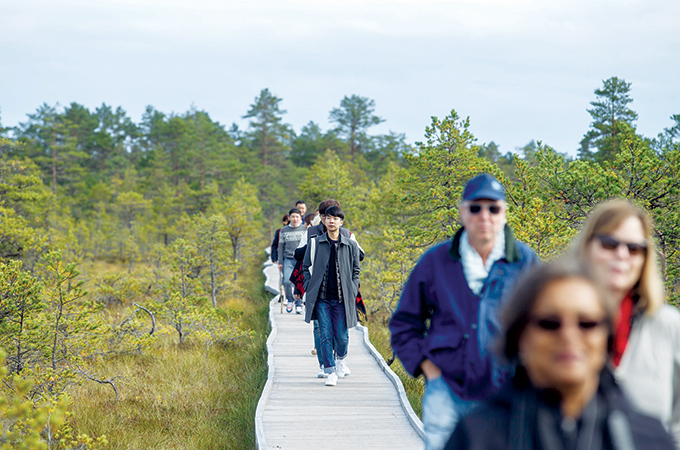 The idea, which became the focus of workshops and other marketing activities carried out by the organisations, is meant to highlight the novelty of Estonia as a meetings destination as well as the many nature-related experiences available there. Last month, Enterprise Estonia also opened its offices in Dubai, with a promise to open the country’s new embassy in Abu Dhabi this summer. Estonia also announced its participation in Expo 2020 Dubai in the event, which was attended by the country’s prime minister Jüri Ratas and minister of entrepreneurship and information technology Rene Tammist, Enterprise Estonia. 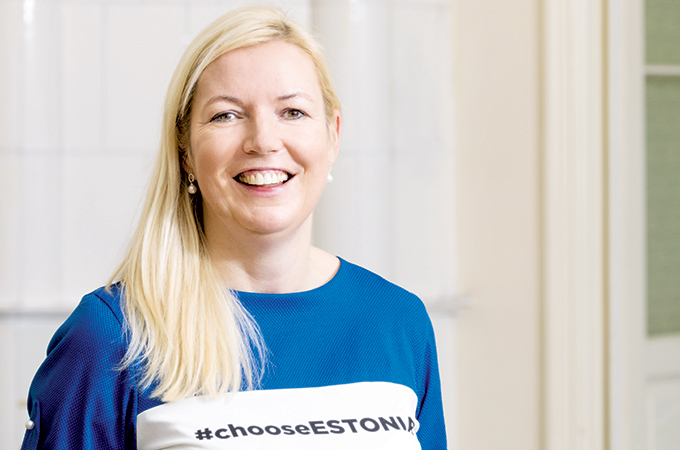 “We have had some very fruitful discussions with regional airlines for a direct connection to our capital Tallinn – there is a strong business case that cannot be ignored. By 2020, we are sure to have a direct connection from Dubai, possibly on Fly Dubai,” minister Tammist told TTN, the only travel trade publication invited to the ceremony. The smallest Baltic state is a world leader in technology, the country where Skype and Kazaa were born. The country has such a strong bent towards technology: it became the first nationa to allow online voting in a general election more than a decade ago. It boasts some of the fastest broadband speeds in the world. “The exchange of information and communications knowhow with the UAE is also likely to be one of the important reasons why travel to and from Estonia will increase in the near future,” said the minister. “The 'Go Wild' slogan works on many levels,” explains Tiigi, “starting with the idea of daring to be different. Estonia is still quite unknown in the meetings world, so planners booking Estonia have to be a little adventurous. With this campaign, we want to encourage them to be brave and try something new,” she said. The same notion extends to the country's conference venues, many of which, like the retro-industrial Tallinn Creative Hub and the Seaplane Harbour, fall into the wild (i.e. unusual) category. The slogan has a literal meaning as well, referring to the fact that a full 70 per cent of the country is covered in wilderness. Estonians have relatively unrestricted access to these areas, allowing the nature-minded locals to partake in popular activities like hiking, mushroom and berry picking, and swimming in forest lakes. For visitors, Estonia's 'wild' side opens up a wide array of activities from scenic nature walks to bogshoeing, kayaking, animal tracking and more.